The answer as to who stole Einstein’s brain is not so simple. Depending on who answers the question and when, no one may have. According to the extensive research by Fredrick Lepore, MD, a professor of Neurology at the Rutgers New Jersey Medical School, moral and ethical questions of what and how biological material should be handled have evolved over time. On April 18, 1955, as a hastily-called press conference was taking place at Princeton Medical Center, Yale-trained pathologist Dr. Thomas Harvey was carefully removing the brain and eyes of Albert Einstein. Within hours, the body of the century’s most famous physicist was cremated in Trenton, NJ. The organs extracted by Harvey during the autopsy were not cremated. As it would be eventually discovered, Harvey became the de facto owner of the brain. The eyes were taken by Einstein’s ophthalmologist, though, and never recovered. Though trafficking body parts undoubtedly remains a thriving business today, the act itself is held in justifiably worse light than it was during Harvey’s time. What transpired over the 5 decades following his act has been discussed extensively, but many of the details were either incorrect or unreported until Lepore wrote his book Finding Einstein’s Brain. Five years ago, I held in my hands a formalin-filled jar containing several fragments of grey tissue wrapped in gauze. The jar resided on the desktop of Elliott Krauss, MD, in the Laboratory of Princeton University Medical Center, (Now called Penn Medicine-Princeton.) Krauss told me those fragments were among the portions of Einstein’s brain which had been surgically removed after his death. In his 76 years, Einstein didn’t have too much use for medical doctors. But several years before his death, circumstances forced him to undergo an exploratory laparotomy due to severe abdominal pains. He was found to have a grapefruit-sized aortic aneurysm. At the time there were no good invasive options, and physicians opted to wrap the aneurysm with a cellophane-like material—much like how a plumber might wrap a pipe to keep it from leaking. That patch held in place for the next 5 years. On April 13, 1955 the aneurysm began to leak, and doctors quickly diagnosed an eminent rupture. Einstein refused further treatment—probably appropriately, since there was no treatment that would have saved him. He died 5 days later. A very private man, Einstein requested that he be cremated and his ashes scattered in a private location. There is no written evidence that Einstein wanted his brain to be used for scientific purposes, although there is an assertion that Einstein had some interest in the idea. Many years before his death, skull film There was a skull film taken as well as an electroencephalography (EEG) many years before. In any case, without permission from his son and executor, the brain was removed and preserved in a manner that was common at the time. The family was irate to learn about this digression, but eventually gave their blessing to Harvey to conduct research on the brain for scientific purposes, under the stipulation that no findings be subject to sensationalism. Their wishes weren’t met; the renown of Einstein’s intellect hyperbolized the study of his own brain. Harvey had intended to have a group of distinguished neuroanatomists review the brain, then write a paper. The brain required a few days to harden. It was stored at room temperature, which unfortunately made it impossible to later collect DNA—a genetic discovery which was just 2 years old in the scientific community at the time. According to the way he was trained, Harvey believed the answer to understanding the brain was in the histologic analysis of the brain cells. He took several photographs and diagrams of the brain, then sectioned it into 21 parts of cortex. They were then cut into 240 blocks which would be further cut into microscopic slides at the University of Pennsylvania, and stained with Nissl stain to outline cell bodies, and with Weigert’s elastic stain to outline axons. Together the stained pieces made up what is known as grey matter (cell bodies) and white matter (axons). Neurology was a crude science, although the neuron was recognized as the corner stone of the central nervous system. In 1955, it was not known whether the neurons were directly connected or if they connected via neurotransmitter. The pathology laboratory at the University of Pennsylvania was one of the few places that had the technical know-how to carefully prepare thinly cut sections of brain. Perhaps Harvey’s greatest error was cutting up the brain before the brain could be studied in its entirety, allowing careful analysis of the cortex and its intricate connections via axons to the rest of the brain. Much of anatomic knowledge about the brain cortex had been already described by the Canadian neurosurgeon Dr. Wilder Penfield, who had spent a few decades studying the brains of prison volunteers while they were awake. Penfield adeptly cut into the crown of the volunteer skulls, flapped the scalp and bone back to expose the brain. He applied a variety of stimuli to the brain and was able to map out the cortical regions controlling body functions. Harvey had been trained at Yale, which was home to several prominent neuroanatomists. As such, he believed that the answer to finding the seat of intellect was by studying the microscopic anatomy, and not the intact brain. But in hindsight, a brain which has been cut up and disconnected from all the intricate neural connections is as useless as a telephone system disconnected from all its wires. Twelve sets of slides were made at the University of Pennsylvania. The one part of the brain not dissected was the cerebellum—which is the part that I held in my hands in Krauss’ laboratory just years ago. By the end of 1955, Harvey had in his possession several hundred microscopic slides, pieces of brain not dissected in formalin jars, and dozens of photos and sketches of the brain. He began to petition a group of noted scientists to review the material. Unfortunately for, there was growing notoriety in the scientific and nonscientific community over the handling of the brain, and lack of any definitive information. Harvey was fired from Princeton Hospital—perhaps because of this notoriety, or perhaps due to any one of a few speculative rumors surrounding his personal life. After losing his job in Princeton, he stored Einstein’s brain in his basement until his wife threatened to dispose of it. He then moved to the Midwest, taking a job as a supervisor in a biologic testing lab in Wichita. The brain was then stashed in a cider jar kept in a beer cooler. For years he fought for medical work amid licensure issues, a divorce, and frequent relocations throughout the Midwest. He continued to send bits and fragments of Einstein’s brain to researchers. Among the 5 published studies of the samples, not one proved definitive of any spectacular finding. One study in 1999 appeared in The Lancet and included some black-and-white photos of the brain. The findings claimed there was an abnormal folding pattern in the parietal lobe, and that the parietal lobes were 15% wider. These areas correlate with mathematical ability—which in fact was not one of Einstein’s strong points. The net result of all of these studies were inconclusive, and Harvey never published a scientific paper of any relevance. He died at the age of 94 in April 2007, in the same hospital he had performed Einstein’s autopsy. In his book, Lepore makes an elegant case defending Harvey’s approach to studying Einstein’s brain, based on what was known in 1955. Lepore details the work of prominent neuroanatomists from the prior century, whose ideas greatly influenced Harvey’s thinking. The study of the genius brain was not very well-documented, because few genius brains were ever studied. Walt Whitman’s brain had been preserved for study, but was accidently dropped on the floor and smashed by a lab assistant. Vladimir Lenin’s brain had been studied, as well as a handful of other notable characters with little credible knowledge emerging. It was first in 2000 that Lepore became deeply interested in the brain of Princeton’s most famous scientist. Between his clinical practice and teaching responsibilities at Rutgers, he began a methodical search for the facts surrounding the brain that would eventually lead him and coauthor Dean Falk to write a landmark study on the brain of Albert Einstein, which appeared in Brain: A Journal of Neurology in November 2012. Lepore examined photos and microscopic sections, and concluded that Albert Einstein’s brain was indeed different than a normal brain due to the extraordinary cortical structure. The prefrontal cortex was highly developed, which may have correlated with Einstein’s extraordinary cognitive abilities. The primary somatosensory and motor cortices near the region representing the tongue and face were greatly expanded in the left hemisphere. The parietal lobes were unusual and may have contributed to Einstein’s unique visuospatial and mathematical skills. Aside from tackling the fascinating history of Einstein’s decades-long autopsy—and, along the way, the history of neurology ethics and practices—Lepore dedicates his book to answering the question as to whether there was actual facets of Einstein’s brain which made him a genius. Such definitive answers still elude the scientific community. Is there an anatomic correlation with genius? How about with soul? What is the seat of intellect? And do our genes determine our mortality? This century is still so young, and lessons learned from the days of Einstein can still better equip us to count the qualities worth counting. 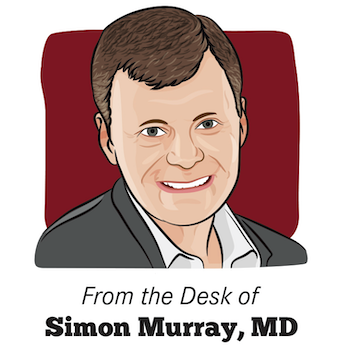 Simon Murray, MD, is an internist based in Princeton, NJ. The piece reflects his views, not necessarily those of the publication. Healthcare professionals and researchers interested in responding to this piece or contributing to MD Magazine® can reach the editorial staff here.